2 Bedroom Semi Detached House For Sale in Headcorn for £322,500. Available for 322,500 - READY TO MOVE INTO NOW! Set in a picture-perfect setting, The Melrose is a beautiful 2 bedroom home full of character, featuring a stylish open plan ground floor, with contemporary fitted kitchen. The first floor features two spacious double bedrooms, one with a fitted wardrobe and a modern family bathroom. 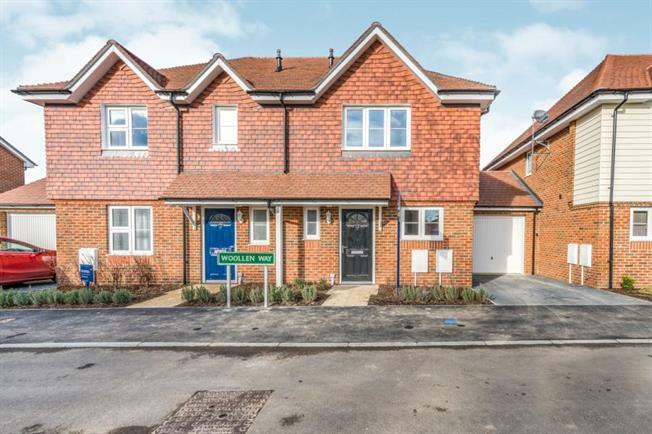 A delightful new collection of traditional 2 & 3 bedroom cottages and 4 & 5 bedroom family homes situated within the idyllic Kentish village of Headcorn. Providing the perfect rural escape, Oakley Grange is excellently located on the outskirts of the village, surrounded by open countryside yet still within walking distance of the local High Street for all your everyday amenities including a village pub, tea rooms, a selection of boutique shops, a village green and the Church of St Peter & St Pauls. As well as being set within a village location, Oakley Grange is well-connected with excellent commuter links. Headcorn Station provides a direct link into London Victoria in just 69 minutes, whilst Ashford International is just 14 miles away providing the High Speed One service into London St Pancras in just 38 minutes. The towns of Maidstone and Ashford are also within easy reach, with the M20 just a short drive away providing easy access to the M25, M2 and further afield.